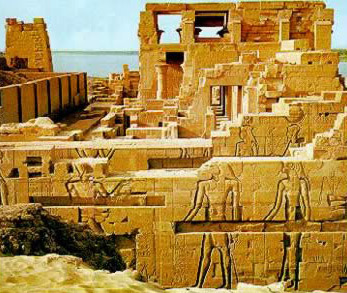 Located at Fayoum, Narmuthis is so vast it is not completely excavated. Built by Amenemhet III the temple is dedicated to the gods Sobek, Ernutet and Horus. Guarded by sphinxes and lions, the temple's interior walls are covered with hieroglyphics and reliefs of Amenemhet III and Amenemhet IV. From an archeology viewpoint, this is considered to be the most interesting site in Faiyum.